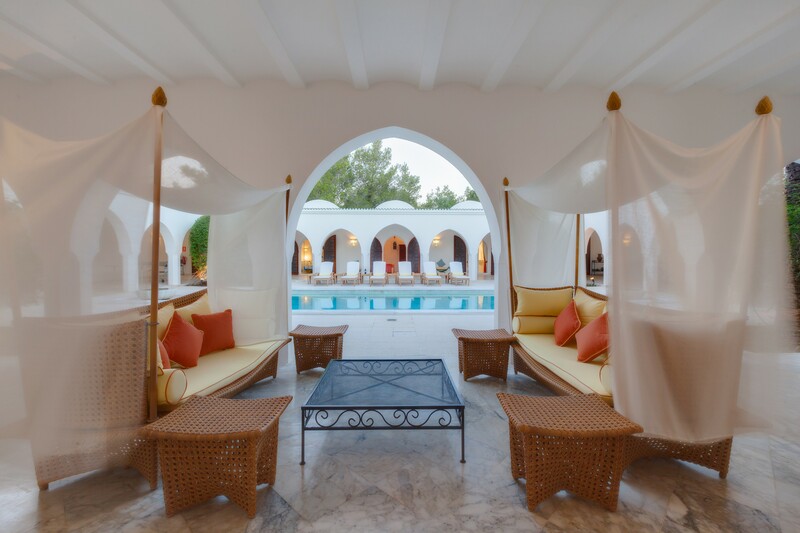 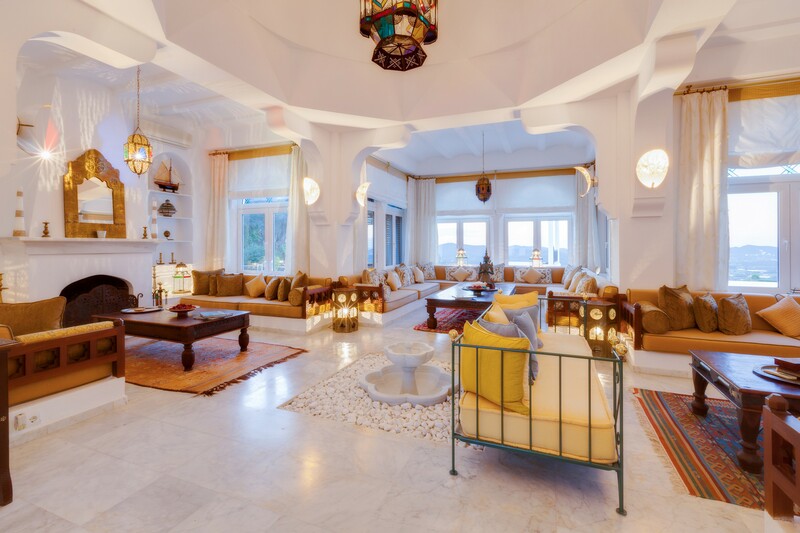 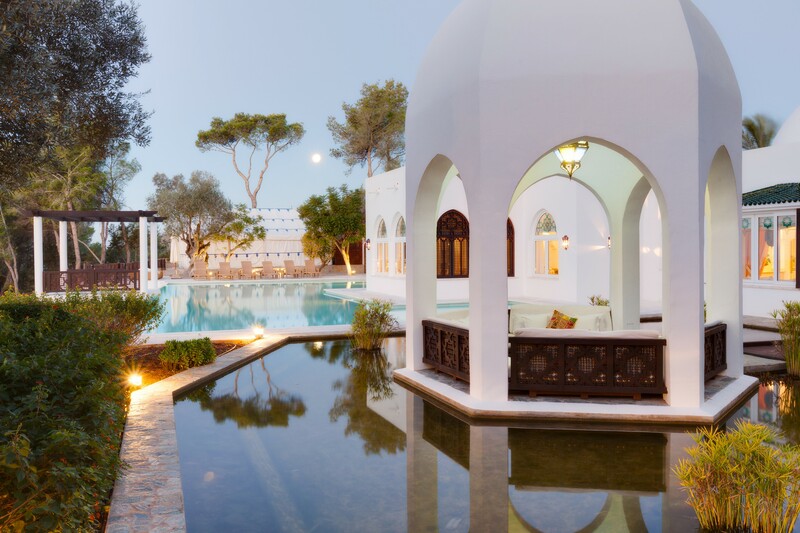 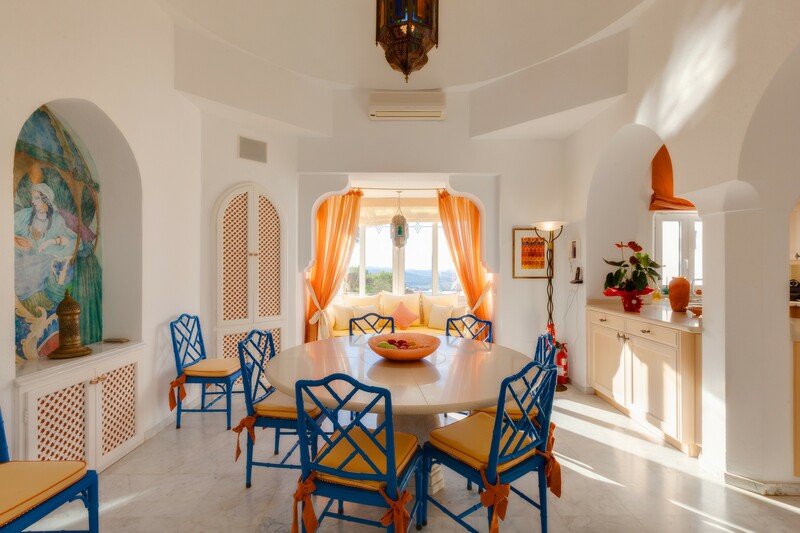 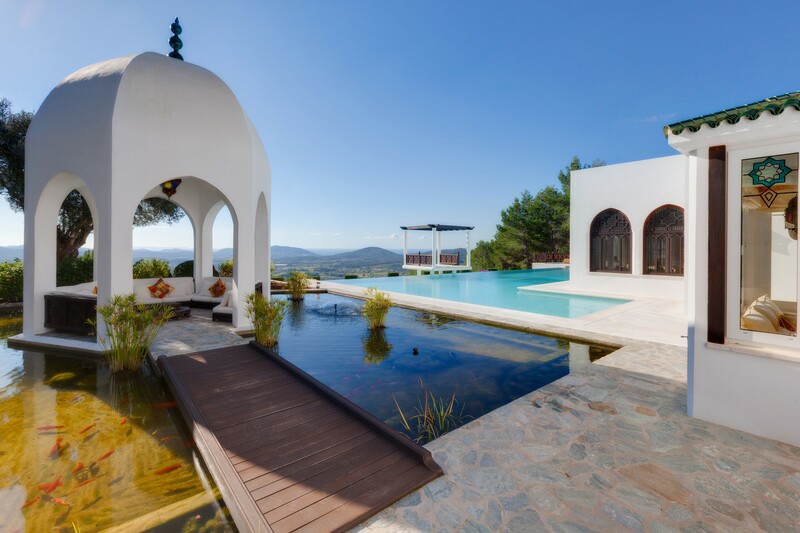 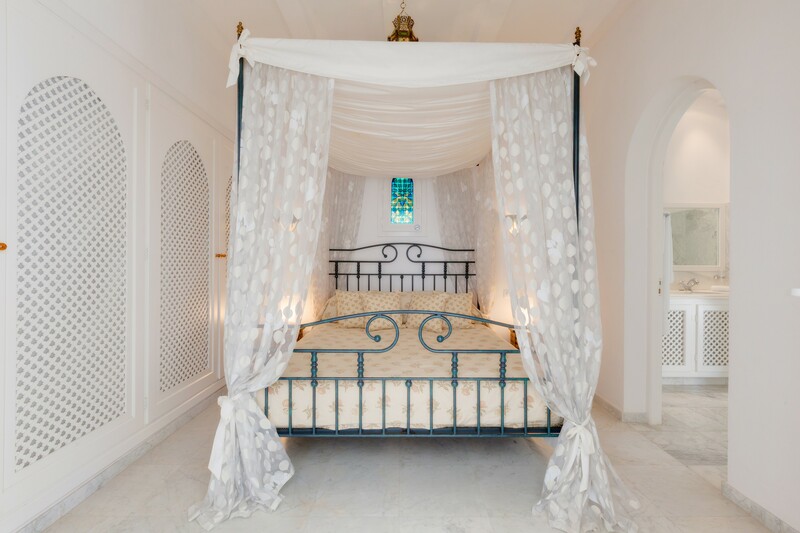 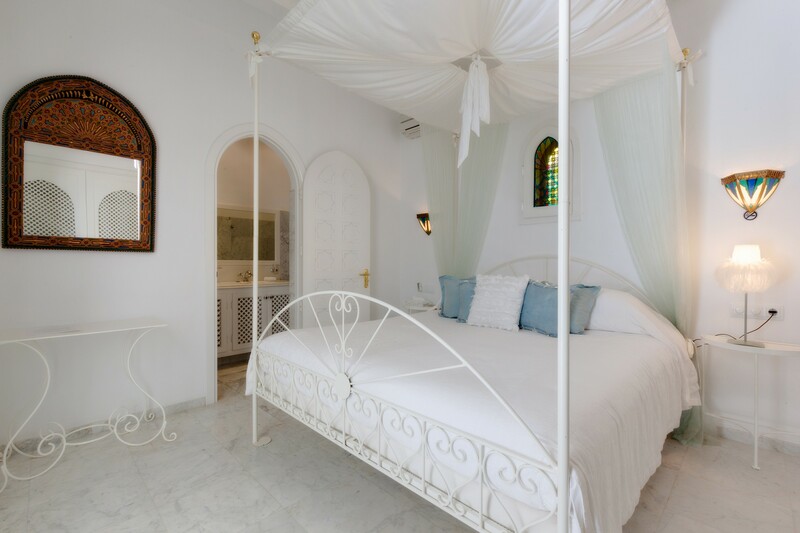 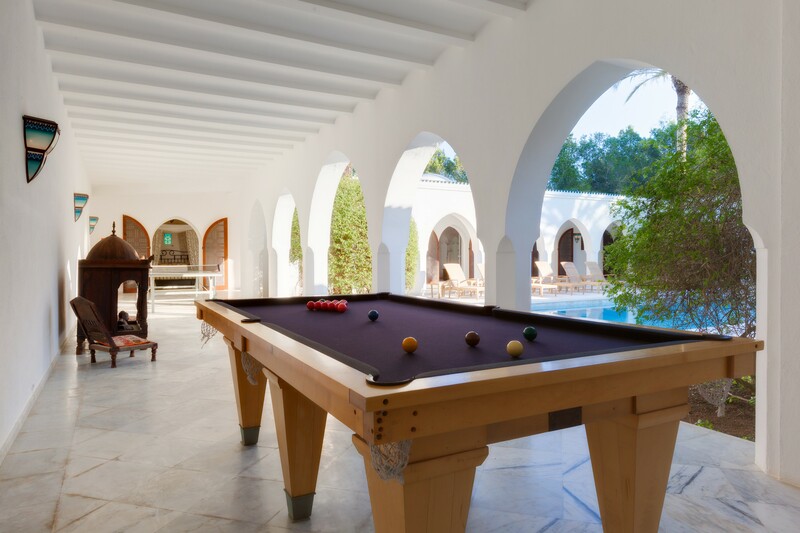 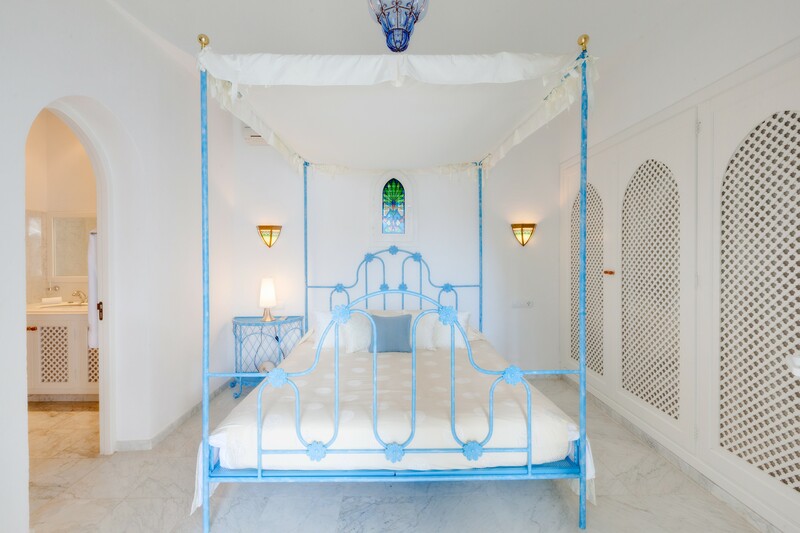 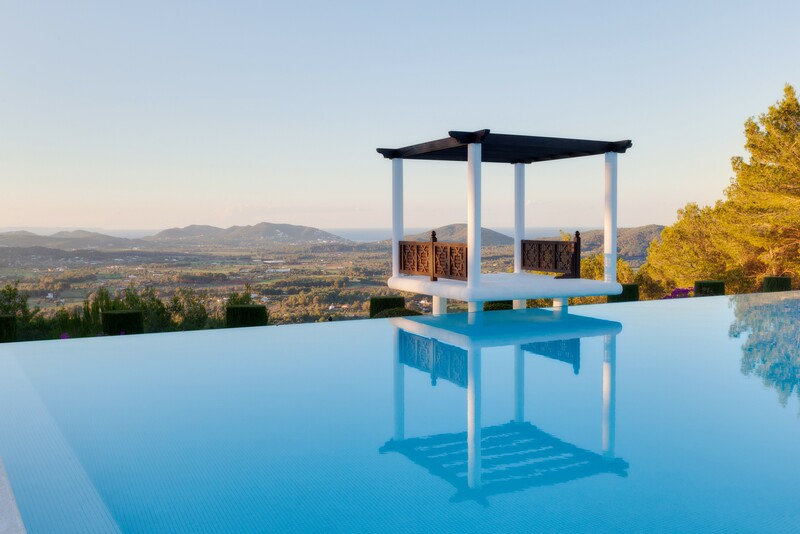 Villa Fata Morgana is located north of Ibiza, on top of the mountains of San Lorenzo, and is surrounded by rolling hills decorated with cypresses and umbrella pines. 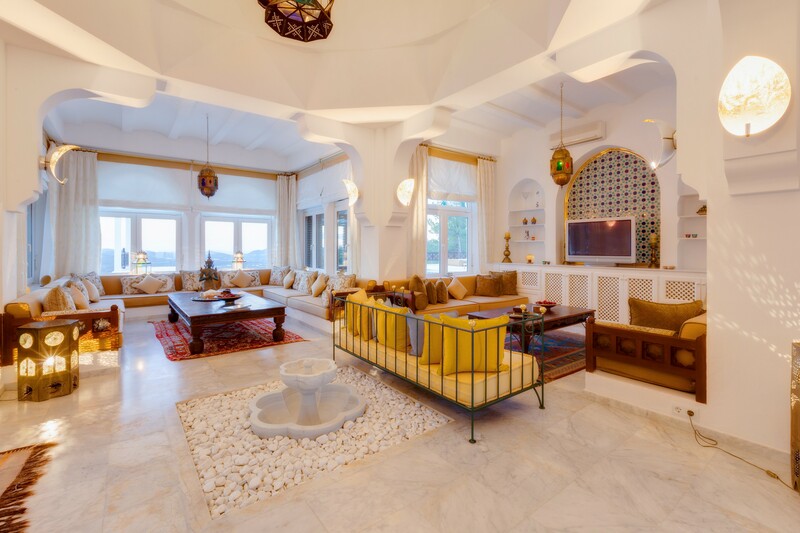 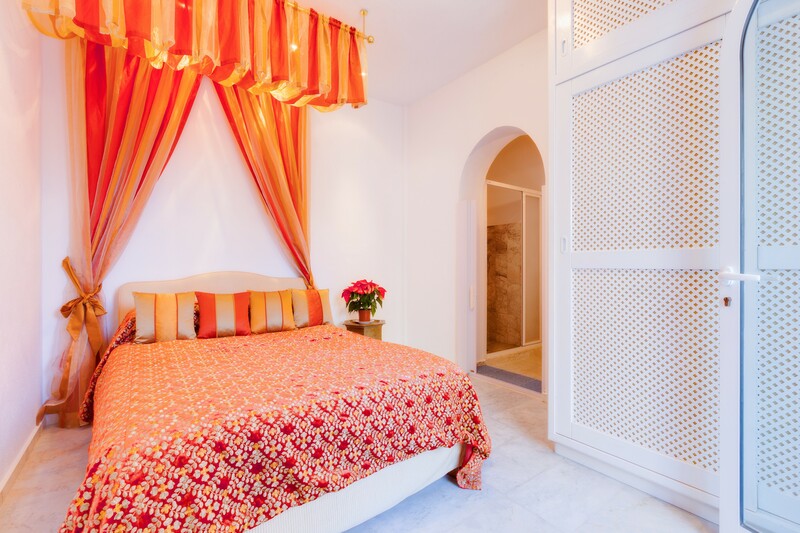 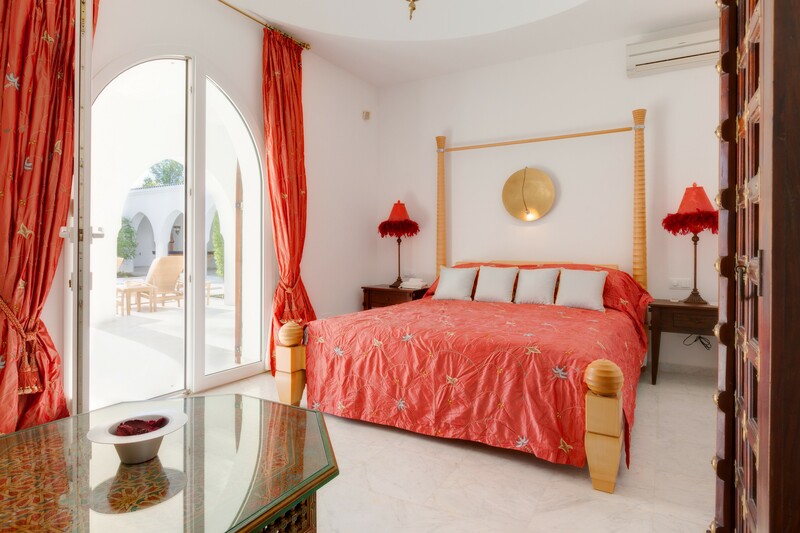 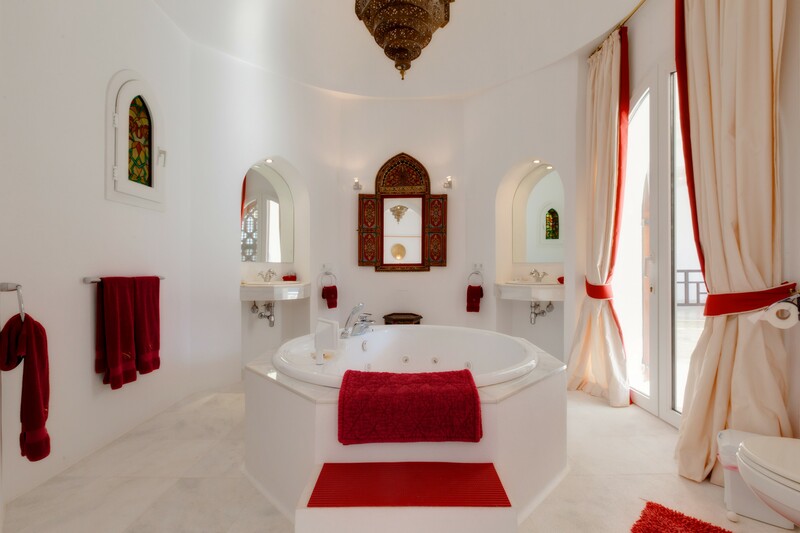 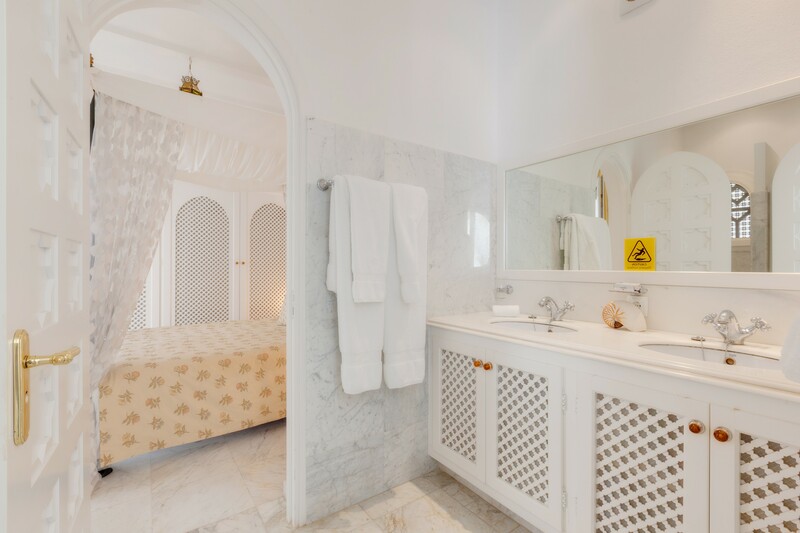 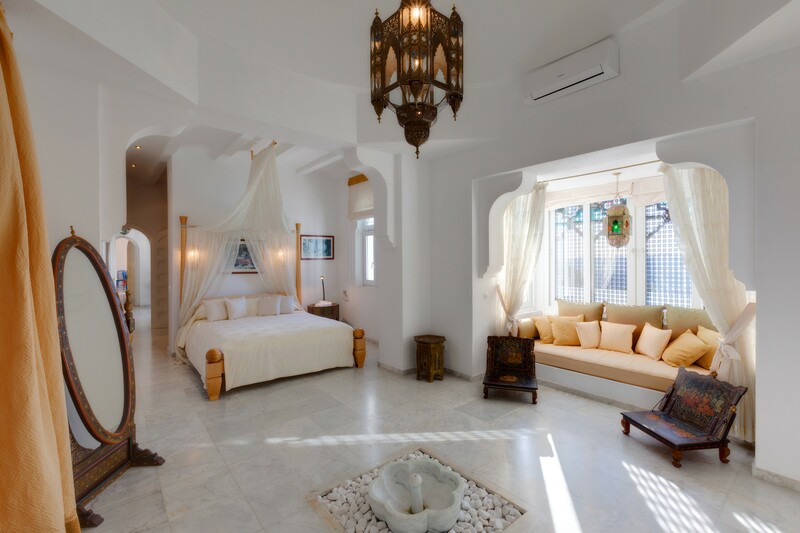 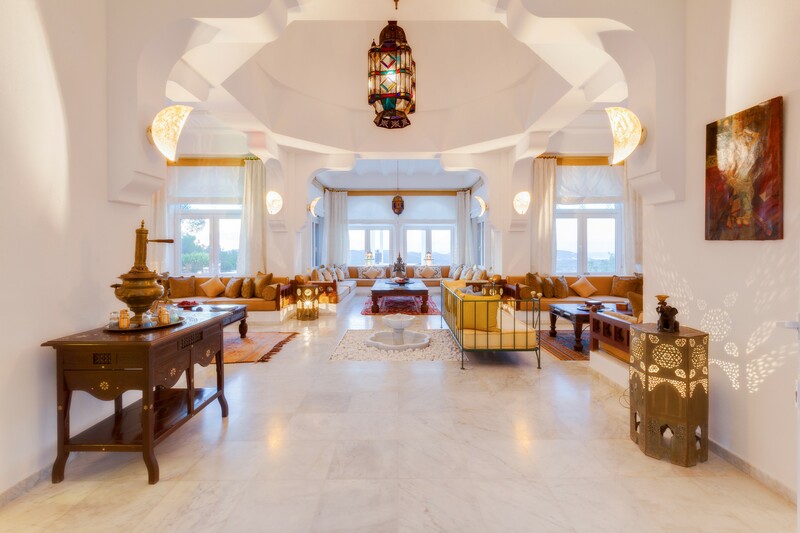 Moroccan-style accommodation has a spacious living room with a large plasma TV screen with satellite channels, DVD and CD player, a fitted kitchen, six bedrooms and five bathrooms. 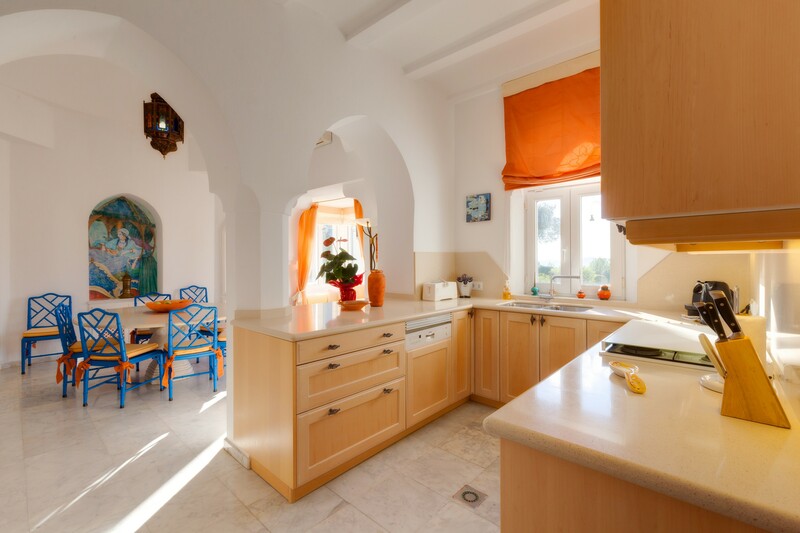 Fully equipped with air conditioning, wi-fi connection and alarm, the property features a garden with BBQ and dining table, a beautiful swimming pool surrounded by large, private sun angles. 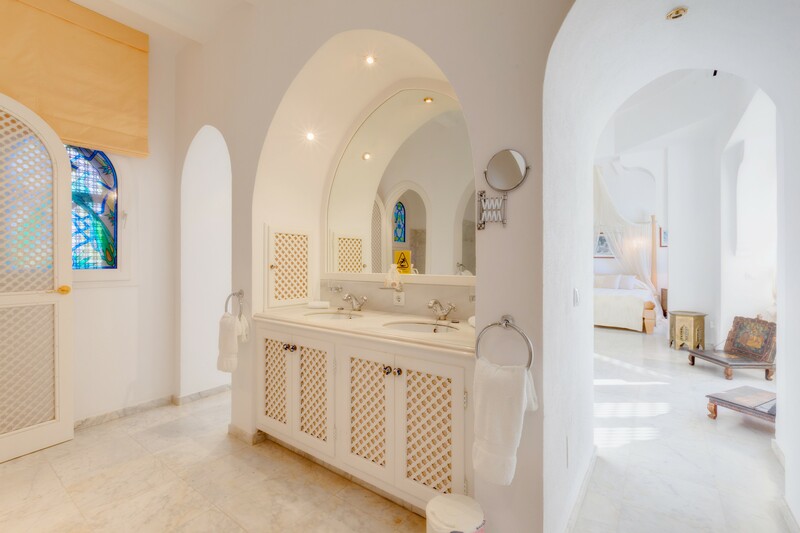 San Lorenzo, a small rural village, is about 2 km from Santa Eulalia, a town particularly suitable for those who want to enjoy the magnificent sea and the typical beauty of the island with a certain tranquility.